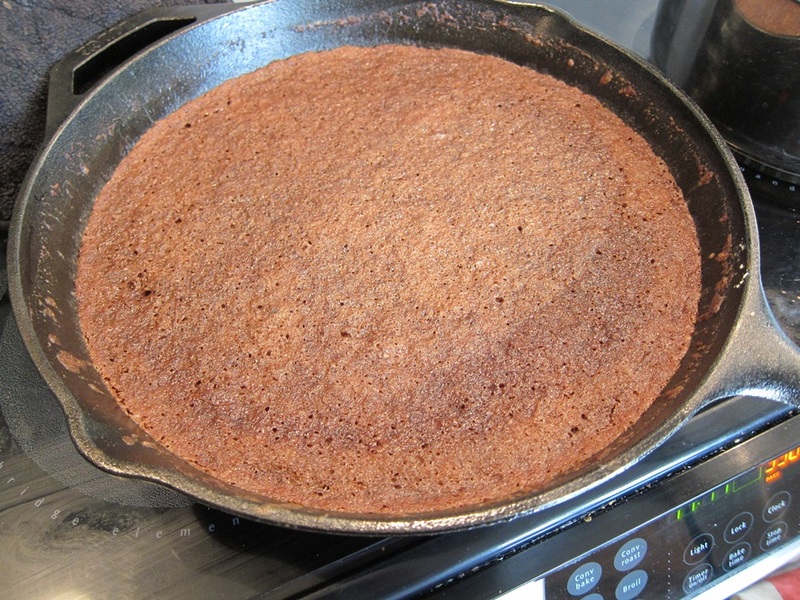 This cake uses just cocoa powder, and not even that much cocoa powder, to get a very chocolatey flavor very simply. 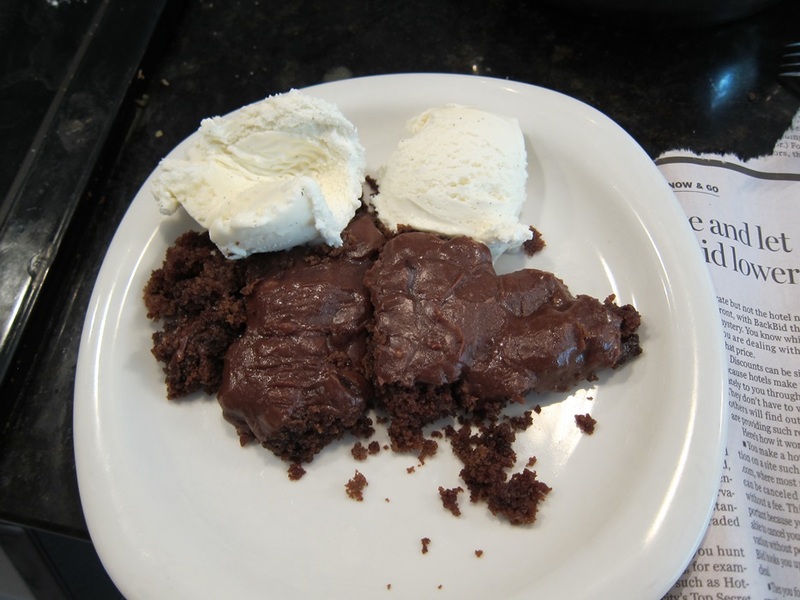 It’s perfect served with some vanilla ice cream! Preheat oven to 350 degrees. Whisk together the flour, baking soda, sugar, and salt in a medium bowl and set aside. Stir together the milk, egg, and vanilla in a small bowl or measuring cup and set aside. 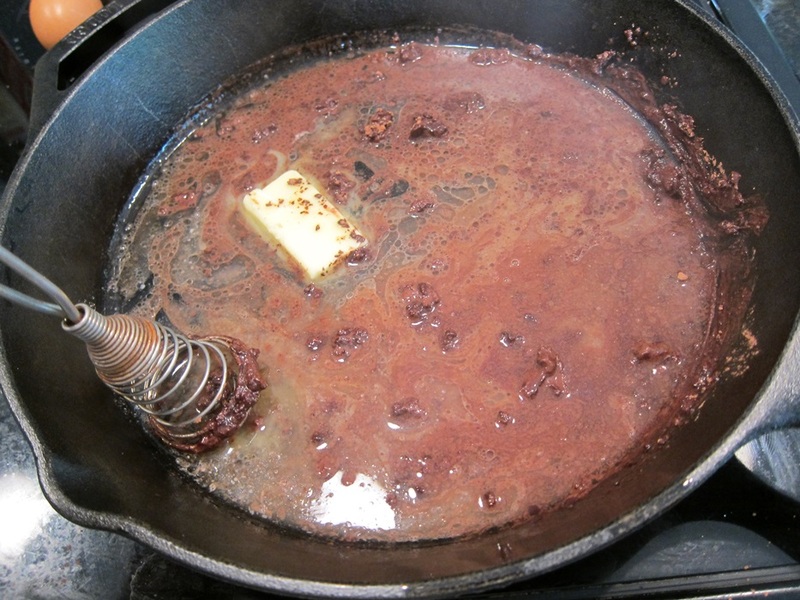 Put the butter, vegetable oil, cocoa powder, and water in a 10″ cast iron skillet and bring to a boil, whisking until smooth. 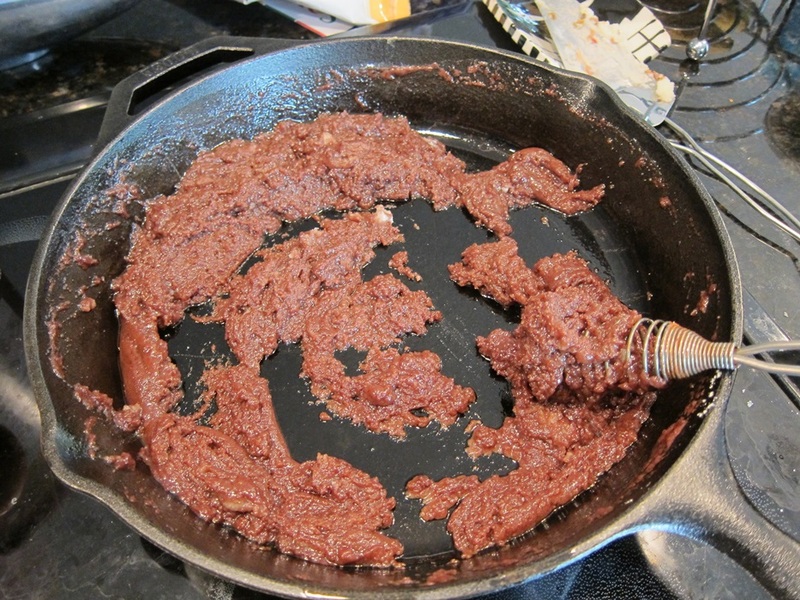 Remove from the heat and whisk in the dry ingredients until well mixed. Stir in the milk mixture and whisk until smooth again. Transfer the skillet to the oven and bake 20-25 minutes. 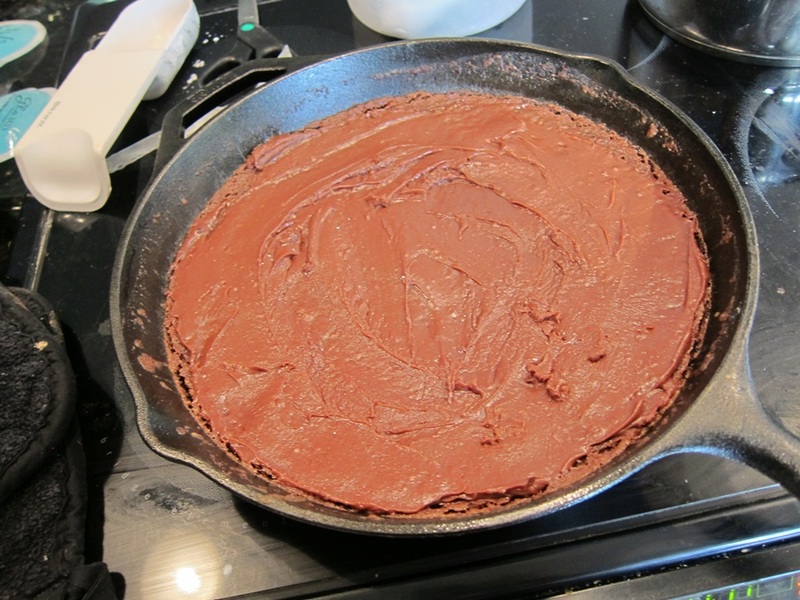 Our skillet is actually 12 inches, so the batter was spread more thinly, so I took it out at 20. 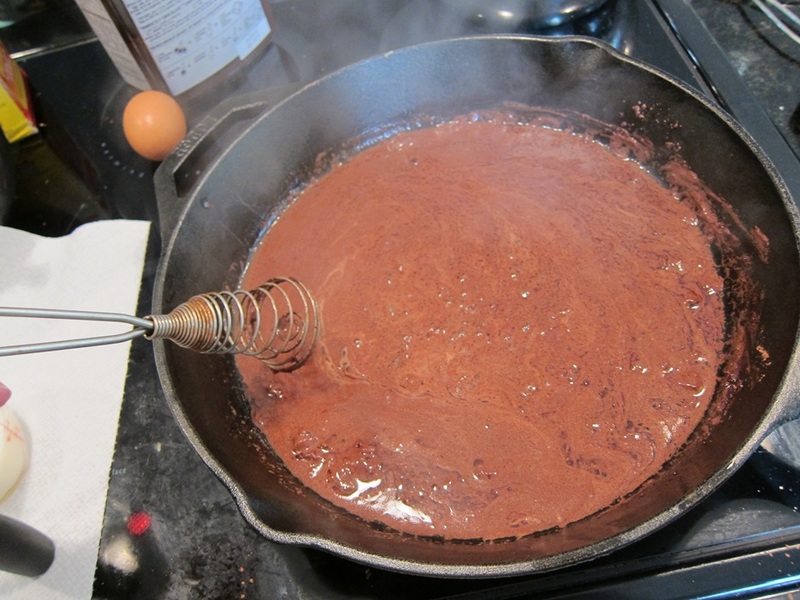 While the cake is still warm, combine the butter, cocoa, and milk for the frosting in a saucepan and bring to a boil. Remove from the heat and add the powdered sugar and vanilla, stirring until smooth. Spread gently over the cake, and serve. 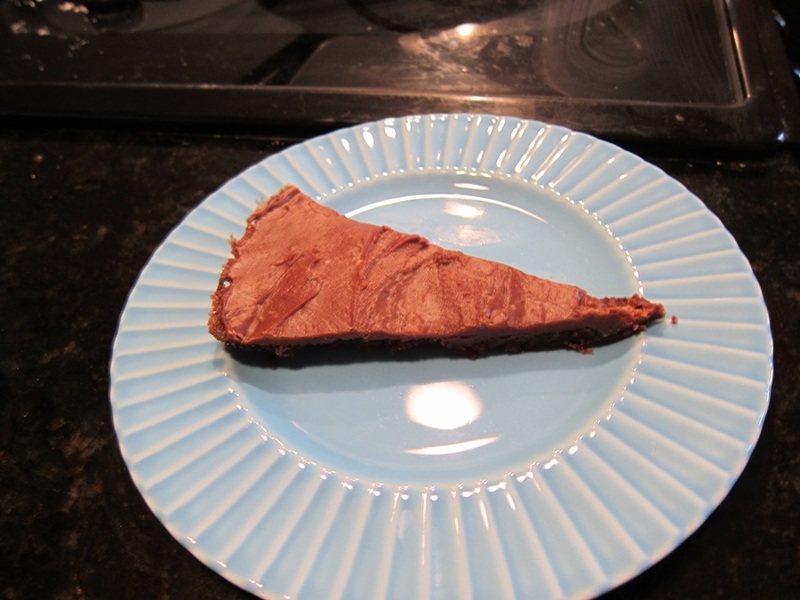 While the cake is still hot, it doesn’t make the neatest slices, but the leftovers come out of the pan looking much nicer the next day (if you have any leftovers, that is). A tiny bit adapted from One Good Thing by Jillee. 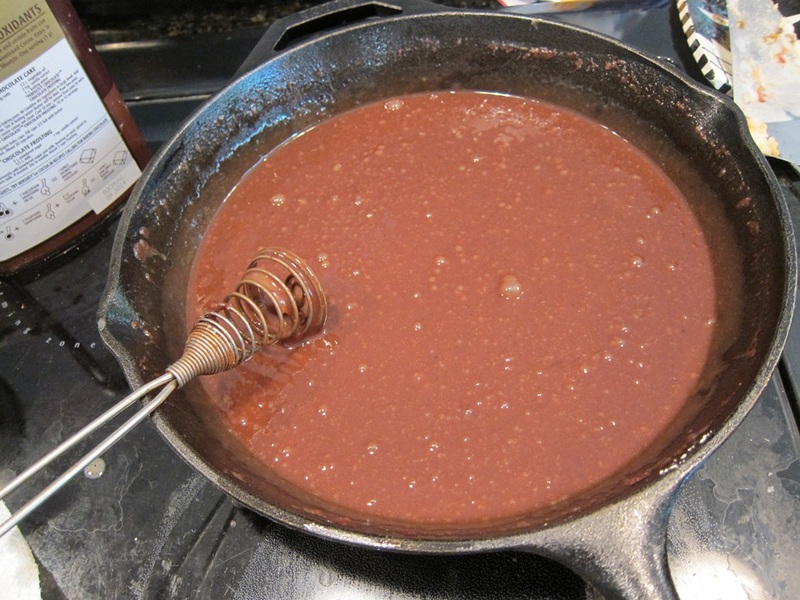 Put the butter, vegetable oil, cocoa powder, and water in a 10″ cast iron skillet and bring to a boil, whisking until smooth. 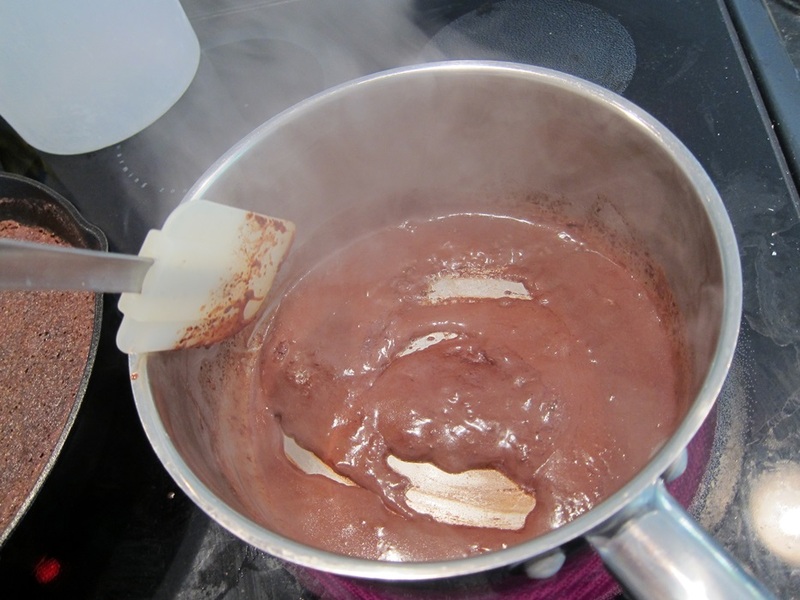 Remove from the heat and whisk in the dry ingredients until well mixed, then do the same with the milk mixture. Transfer the skillet to the oven and bake 20-25 minutes. 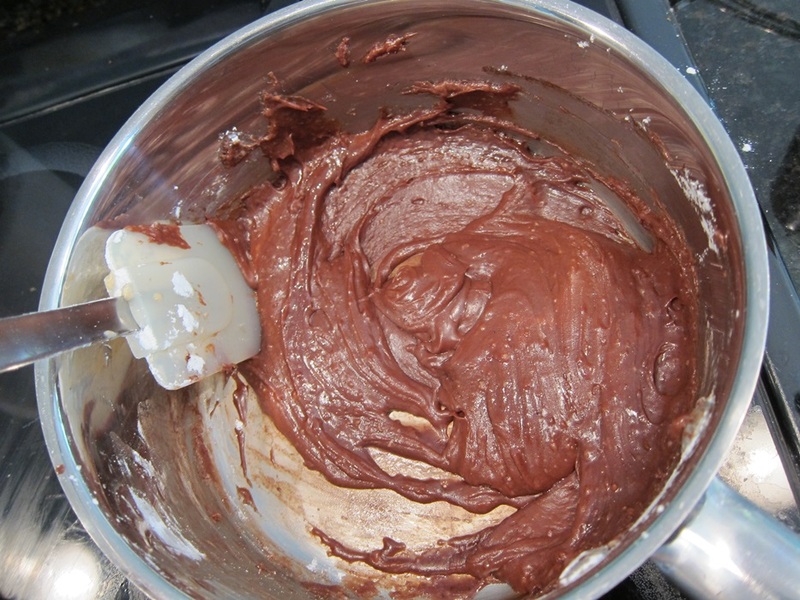 While the cake is still warm, combine the butter, cocoa, and milk for the frosting in a saucepan and bring to a boil. Remove from the heat and add the powdered sugar and vanilla, stirring until smooth. Spread gently over the cake, and serve. 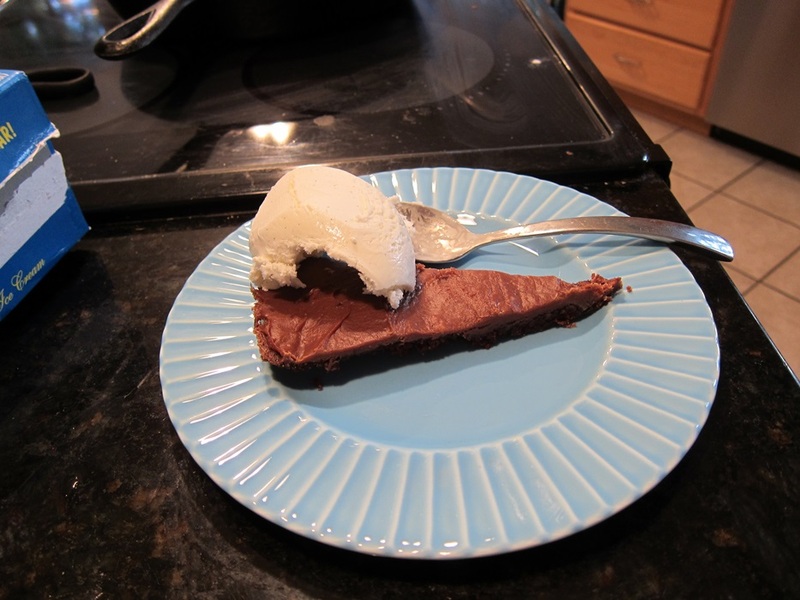 This entry was posted in Dessert and tagged Cake, chocolate, Chocolate Cake, fudgey cake, gluten free, skillet cake. Bookmark the permalink.